Kansas Basketball, yet another one of the many reasons fall is so incredible. 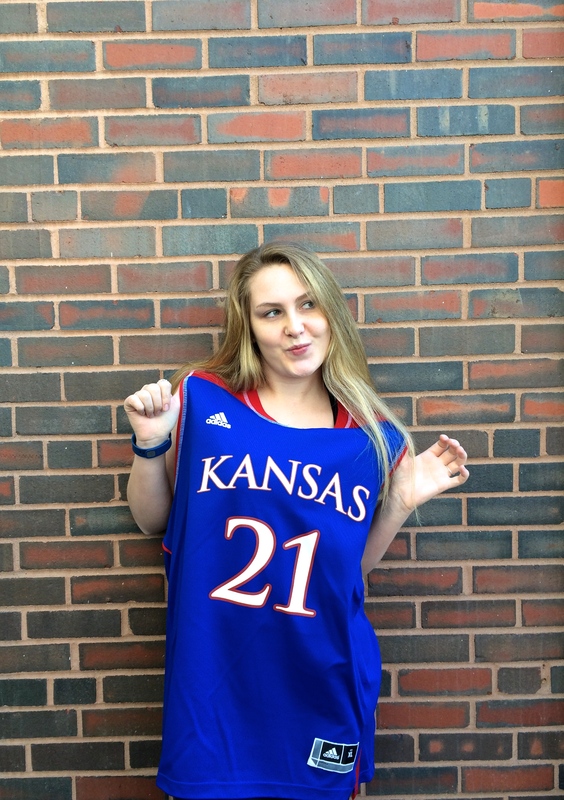 Basketball season is starting and to show my spirit, I’ll be sporting my KU jersey all around town! I found this 20 dollar jersey last year at the Jock’s Nitch sporting store on Massachusetts Street in no other than Lawrence, KS. This jersey is best paired with your favorite converse shoes and a fighting spirit. I love being able to show my passions through my clothing, and Kansas Basketball is definitely a passion of mine.